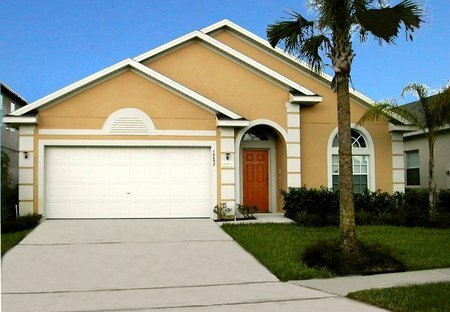 Our lovely 4 bedroom villa only 8 minutes from Disney World Orlando is the ideal base for your Florida holiday. Own private pool, Games Room and free Wi Fi . Gated community. If you are looking for a little bit of luxury and elegance, to relax and ease yourself into your holiday, alongside all the fun and excitement that Orlando has to offer. Villa Emily sits in the centre of the popular Watersong resort, with complimentary access to all the resorts facilities. This 2 bedroom apartment with swimming pool is located in Orlando and sleeps 8 people. It has WiFi, parking nearby and air conditioning. Located in the heart of the famous Windsor at Westside resort, Villa Kristen offers everything you need to enjoy a peaceful holiday exploring Florida's most excellent. If you are looking for a Florida base, where you can escape the busy Orlando parks each evening and enjoy modern comforts as a family, then Villa Taylor is the place. This 1 bedroom apartment with shared pool is located in Orlando and sleeps 6 people. It has WiFi, barbeque facilities and parking nearby. This 3 bedroom apartment with swimming pool is located in Orlando and sleeps 10 people. It has WiFi, parking nearby and air conditioning.